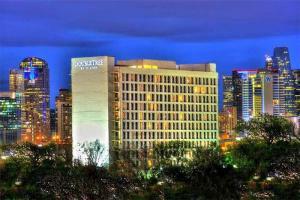 Set in the heart of the Dallas Market District, this hotel is just moments away from downtown, nightlife, attractions, dining and shopping. Visit the Dallas Zoo, Dallas World Aquarium, Deep Ellum Entertainment District and the historic West End. After a day of exploring, relax in any of the 227 guest rooms or 11 junior suites featuring a 42" TV, optional balcony, WiFi, and the Sweet Dreams® bed. Enjoy recreation at the hotel by working out in the fitness center or swimming in the pool. Located about 5 miles from Dallas Love Field and 15 miles from Dallas/Fort Worth International Airport.